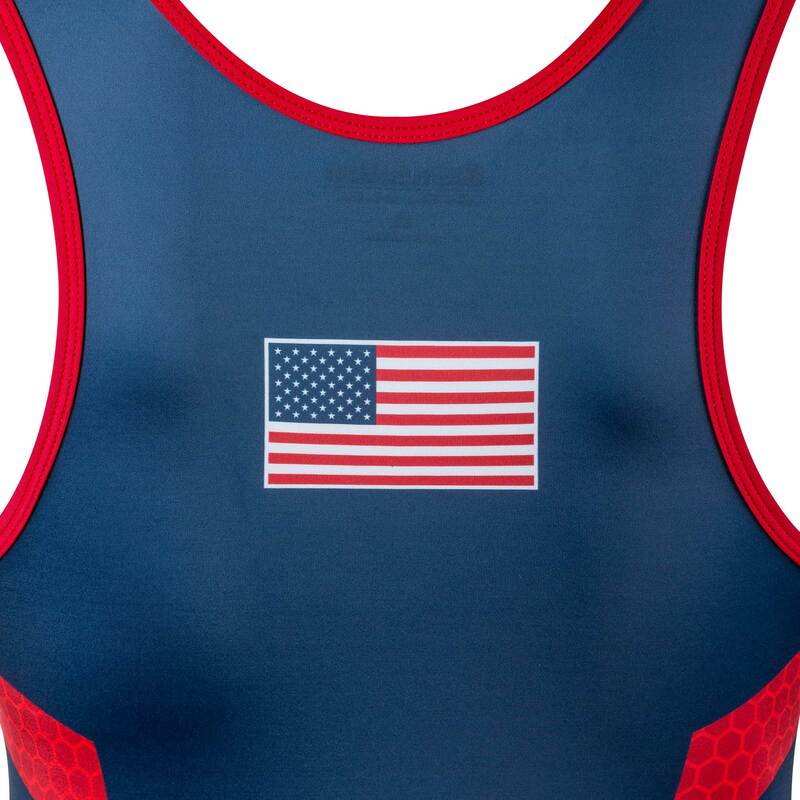 USA Breakdown Singlet: USA, breaking down our opponents since day one! 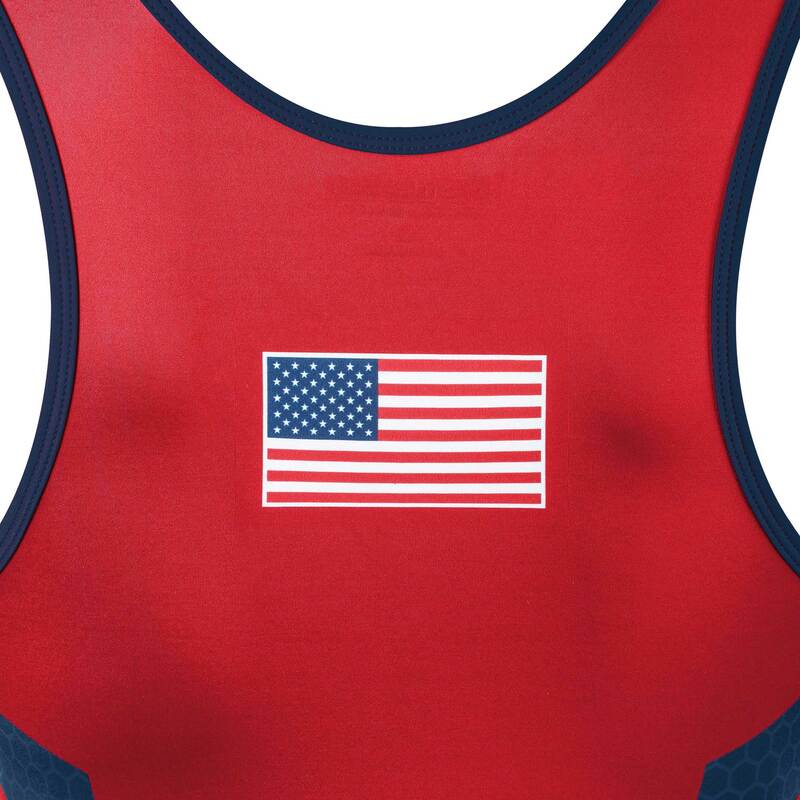 WrestlingMart is proud to unleash our very own USA inspired singlet so when you’re breaking your opponent down, people will know which country you represent. The breakdown is essential to the American style of wrestling. We have countless numbers of American world champions and Olympic champions who are all proud to be rocking the stars ‘n’ stripes while taking the gold, why not wear some of that passion on your back while striving to reach the same goal of your own! 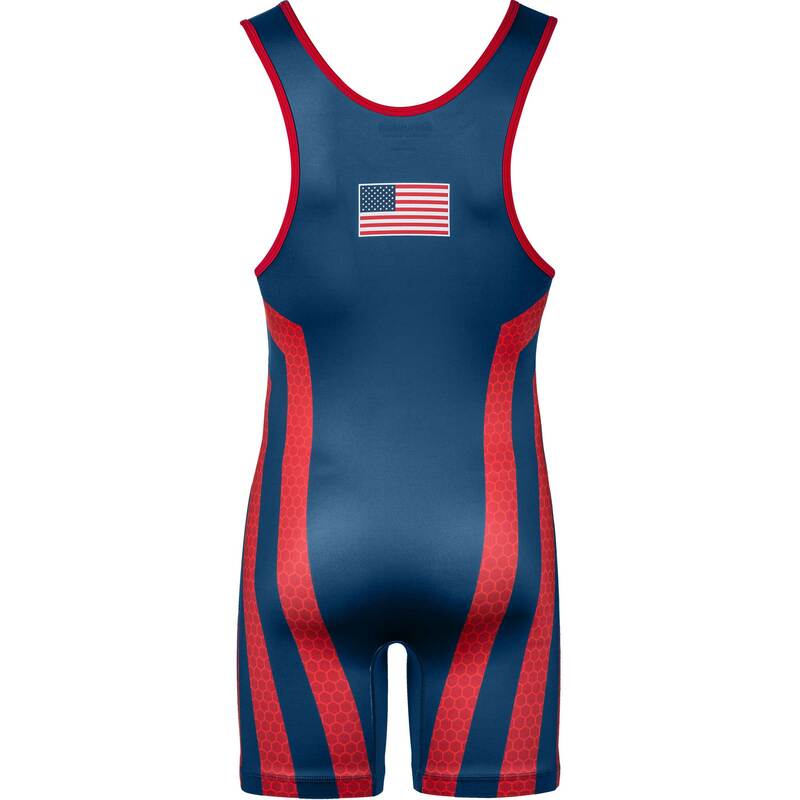 Whether you’re trying to score a takedown, or working your favorite pinning combination, you will automatically have a leg up on your opponent when you go to break them down in this singlet. As you may already know, a huge effort was made while designing our singlets. 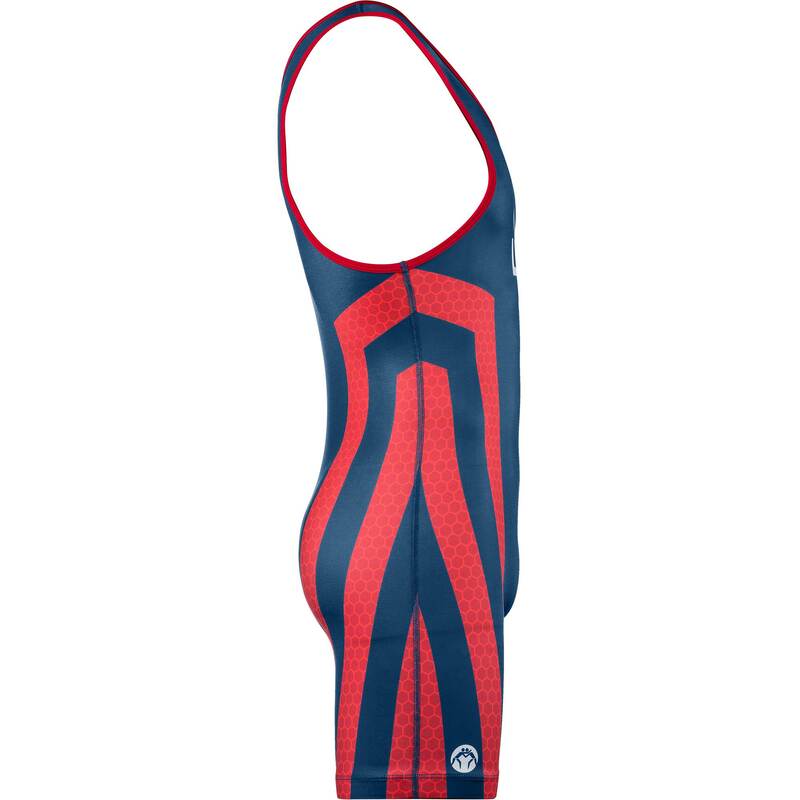 The aim was towards perfection. 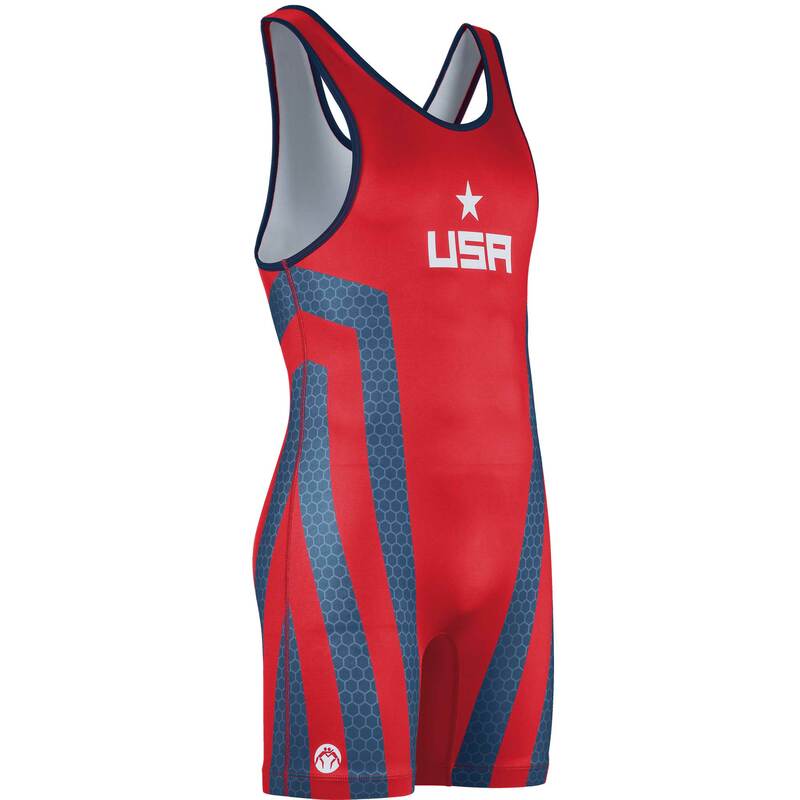 The right fit, comfort, durability, and style, all at an affordable price. 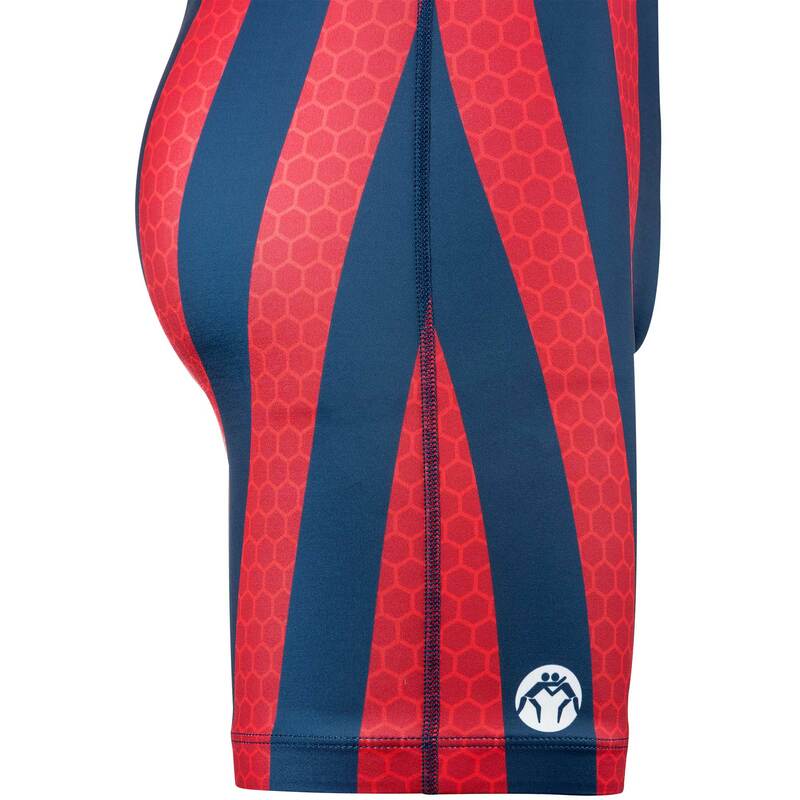 The amazing Spiderman(ish) design has been sublimated into the fabric itself. 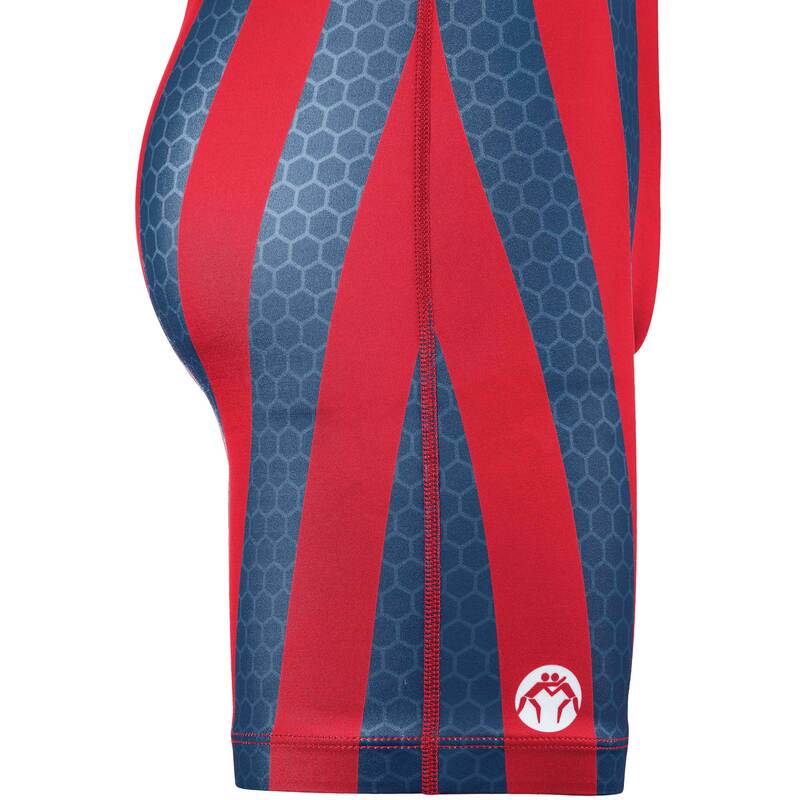 What does sublimated even mean? 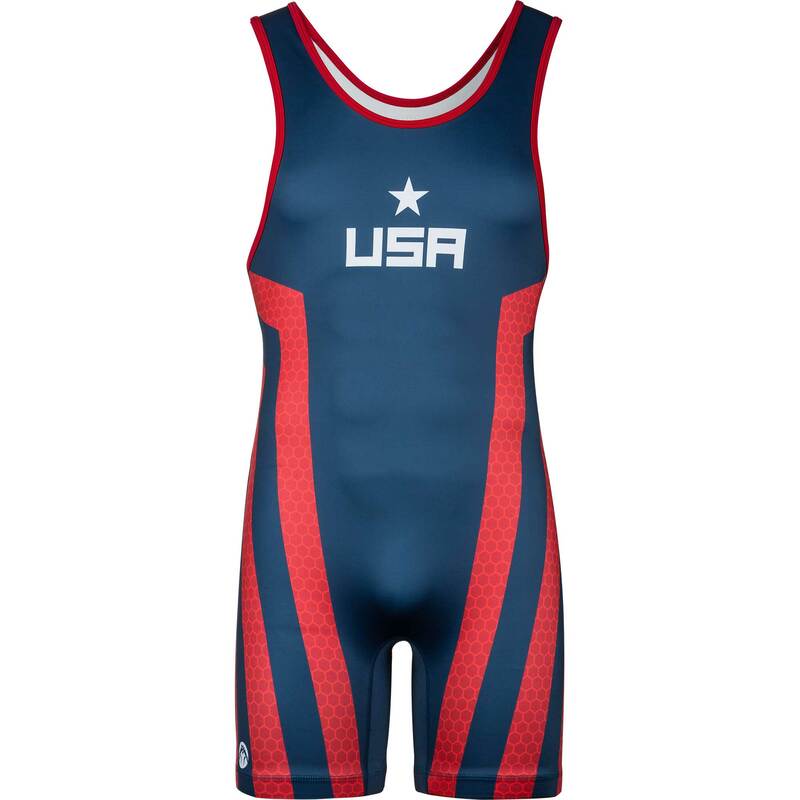 Well, in simple terms it means the ink is fused into the fabrics of the singlet instead of on top of the fabric, which allows for much higher durability and preservation of the design. Nice material, fits comfortable and makes you look good.